An Army veteran and his wife said they were "shocked and saddened" when they learned he was denied life insurance because of his history of post-traumatic stress and depression. "There have to be a lot of veterans with this diagnosis," said the wife, who asked to remain anonymous as they continue the process of getting insurance through another company that specializes in life insurance for service members and veterans. The denial letter they received from USAA cited his history of depression, anxiety, post-traumatic stress disorder, chronic pain and asthma. The Army veteran said a USAA representative emphasized his PTSD and the depression in explaining the denial. Insurers don't talk about a particular individual's situation for privacy reasons, but they do offer general information about how they make their decisions. And comparing companies' policies is often like comparing apples and oranges. The veteran said one difference is that he was applying for an individual term policy with USAA. The policy he has been approved for with another company is a group term policy. In group term policies, the risk is spread over a broader category of people and the underwriting requirements aren't as strict. He also applied for a lesser amount of coverage initially. Can you qualify for commercial life insurance if you have PTSD? It depends on each individual's circumstances, as well as the insurance company's policies, according to officials at four companies that are among a number that specialize in providing life insurance to the military community. "The great majority of members with histories of PTSD are offered life insurance, many at our very best price," said Alex Gairo, a spokeswoman for USAA. "As with so many health issues ranging from diabetes to depression, it is a question of degree and duration. "The applicant's health history is reviewed to determine the following: how severe are the symptoms, what was the date of the onset of symptoms, how necessary are the medications to achieve effective control, does the applicant need counseling/psychotherapy? All these factors weigh in on the decision of the applicant." "Talk to us and other insurers. All of us have different underwriting rules," advised Mike Meese, a retired Army brigadier general who is chief operating officer at AAFMAA. At AAFMAA, "we probably, as a percentage, have more people with PTS that we underwrite and insure than any other condition," said Meese. The company looks at each individual's case, including the treatment, the medications, and the doctor's diagnosis. Depending on the situation, he said, the applicant might pay a higher rate, but it's usually cheaper than Veterans Group Life Insurance. When he left the Army in 2008, the veteran didn't sign up for Veterans Group Life Insurance, which is available to those who have been insured under the Servicemembers Group Life Insurance (SGLI) program. "Unfortunately he missed his window to get insurance under VGLI," his wife said. "We were both in our 20s and were not really thinking about this. We now have two kids." That's changed their thinking about their family's financial situation if something happened to her husband. Under VGLI, service members have one year and 120 days from the date of separation from the military to apply for the insurance. If service members apply for VGLI within 240 days after separation, they will not need to answer health questions. Since being turned down for insurance, the couple has applied for coverage elsewhere and initially applied for a lesser amount of coverage. They were accepted by another company that specializes in coverage to the military community, and are now trying to increase the amount of coverage. 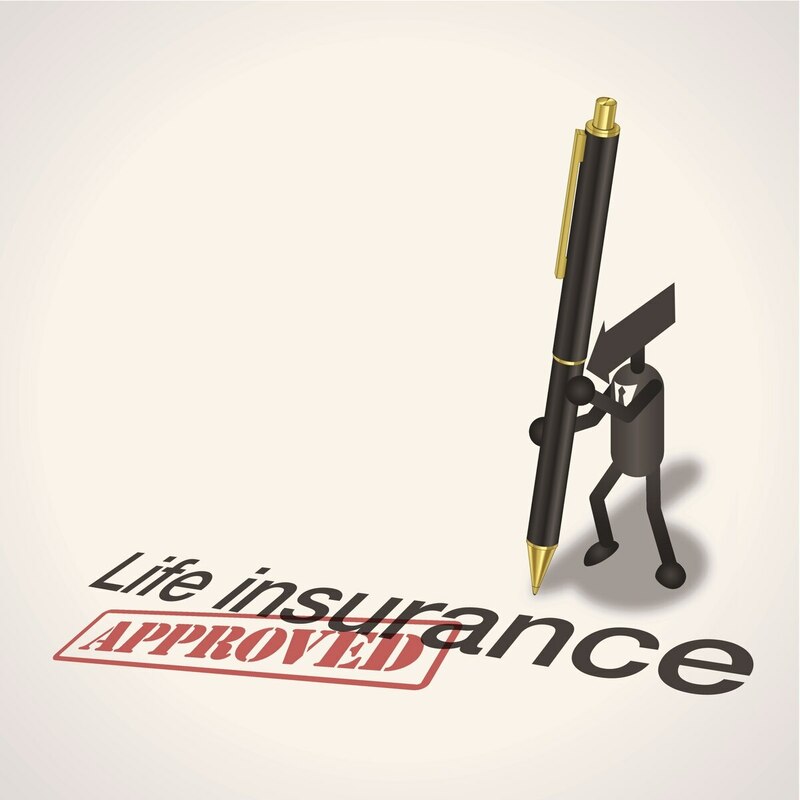 The wife said the rate is competitive with the life insurance she has as a federal employee. cut for space: The Army veteran was honest up front about his PTSD when he applied for life insurance. That honesty is important, all the company officials said. "You need to be honest," Meese said. "Most people in the military are honest, and in most cases there aren't any problems." "The decision is made based on the risk. That's how the insurance industry works," said Mike Reyna, a retired Air Force colonel who is president of Military Benefit Association. "A high percentage of veterans have a PTSD diagnosis," he said. "That's usually disclosed in the application process. But there are no automatic disqualifiers. Like other medical issues, there are levels of severity." Navy Mutual has insured people with PTSD, but again, it depends on the individual circumstance and the whole health picture, said Stephen Pietropaoli, a retired Navy admiral who is chief operating officer at Navy Mutual. Post-traumatic stress itself is not disqualifying, he said, but the applicant may be denied or have to pay more for insurance when the PTS is more severe and if he or she is on medication for other physical injuries, for example. Navy Mutual tries to come down on the side of approving the application. "We exist to provide life insurance for those who serve and their families," he said. But if they don't assess the risk properly, it could affect the financial strength of the company. "We have to be around for 30, 40, 50 years from now to pay the claims," he said. He and others advise applying for commercial life insurance before transition or soon after leaving the military. That gives the option of applying for VGLI when you're still eligible. And like this veteran and his wife learned, it's wise to shop around to find options.